There are several parties which we throw in our house each year, ranging from Christmas, Thanksgiving, our wedding anniversary to our child's birthday. 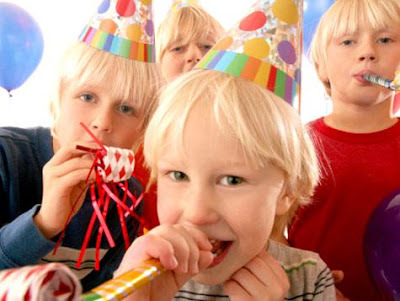 We take pride in making our child's birthday party a truly joyous and enjoyable event but parties for young children do not come cheaply, as we realized much to our dismay when our child had his first birthday. There were several screw-ups but the worst mistake was the cost management. I have read horror stories of parents spending $10,000 to $25,000 for their child's birthday party and though our expenses came nowhere near, it was still an eyebrow raising $5000 for our first foray. We have learned from the experience and can now throw parties for our child without breaking the bank. All it takes is some creativity and effective planning to get a fun and memorable party going. The main purpose is not to compete with other parents in having the "perfect" party. If you are interested in showmanship and spend lavishly without thinking about what your child really likes, then you only end up with a hole in your pocket and an unappreciative kid. The first step is to determine how much money you can afford to spend on the party. Once you arrive at a number, stick to it. If you have a shoestring family budget, consider cutting other discretionary items or “entertainment” for the month and channel that money into organizing the party. I know when it comes to a party, the more people the merrier. However, I am generally not in favor of inviting too many people. I tend to limit the invitations to close friends and relatives, not just because of the cost of food catering but rather, "crowd control" is challenging with many kids running around. An unpleasant event like fighting or injury can ruin your happy mood. I don't mean to decorate your house with dollars or to achieve the decorations with a single dollar. Instead, you should shop for party decorations at your local thrift or dollar stores. There are great deals on paper plates, silverware, games as well as decorations like balloons and cards that will make your party look great and fun without costing a bomb. Don't neglect the library too. It is a useful resource with plenty of free treasures. You can find recipes for birthday cake and finger foods (which you can then prepare together with your child and save a major expense) or rent DVDs and play them during the party. Many people blow their budgets on food. Actually, that is not so important in a kid's party. They will be more interested in games and their friends. Instead, it is the parents who are more worried about the type and quantity of food that is available. Hence, spending on abalones, lobsters or caviar is unnecessary. Some simple kid-friendly foods that you can consider are hamburgers, hot dogs, chicken nuggets, pizza, cookies, fruit punch and of course the birthday cake. With food out of the way, you can now focus on the entertainment. This will be important to keep the kids occupied and knowing that they have very short attention span, you will require a bit of creativity here. It is important to have multiple things going on at one time: board games, a face painting station, a movie playing in the background. Kids get bored easily, so when you offer more than one activity, you are likely to keep all of them happy and entertained. Remember most kids just want to have a good time with their friends and loved ones. Going over the top and maxing out your credit cards for a day of celebration is foolhardy. Good tips! I'm trying to throw a baby shower on a budget so I know it can be tricky! Thanks for the info!